There is overwhelming international recognition that the plight of refugees is one of the most urgent global humanitarian needs. This project aims to investigate the efficacy of a novel brief mental health intervention developed by the World Health Organization aimed to enhance mental health in Syrian refugee youth by providing a scalable intervention to young refugees and caregivers. 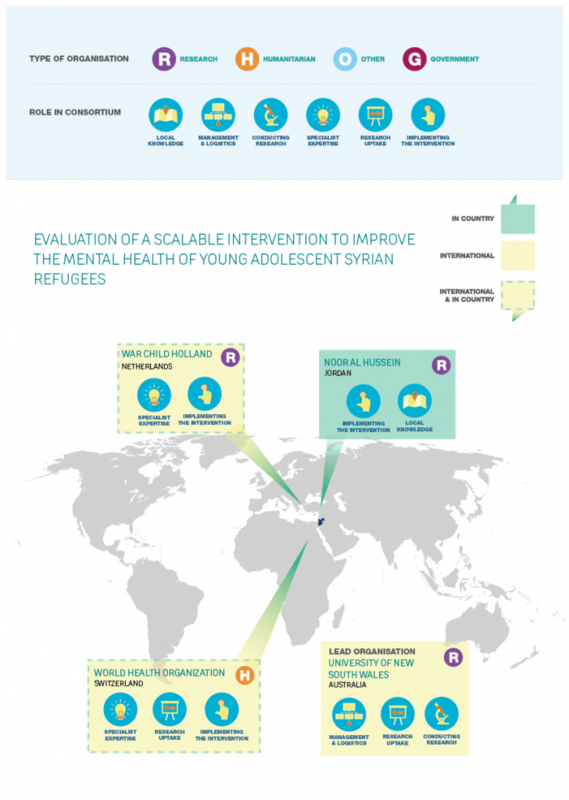 A randomised controlled trial of Syrian refugee youth aged 10-14 years will be conducted in Jordan. The trial will randomise 386 participants to either the intervention condition or an enhanced usual care condition, and assess participants prior to, following, and 3-months after intervention. 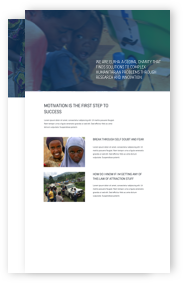 It is expected that this study will provide the required evidence-base for affordable, scalable, and effective programs that can be disseminated in settings of humanitarian crisis where large numbers of youth are adversely affected by trauma and other crisis events. In particular, this evidence will urgently fill a gap for agencies providing services to Syrian refugee youth, where countries hosting these refugees lack the necessary health resources to provide needed mental health services at the scale it is required. It is envisaged that these low-intensity interventions can provide the platform for stepped-care models, such that they provide the first stage of an intervention for distressed youth and caregivers, thereby reducing the burden on limited specialist mental health services. Once there is evidence for this program trialed in this study, it will be published by WHO via its web-site and publications for dissemination.